I’m well behind the eight ball with posting recipes. 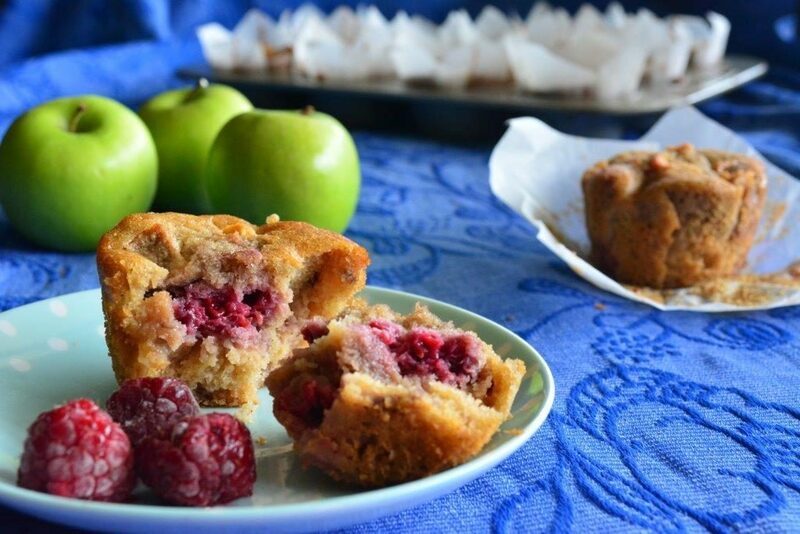 It’s already February and only now am I getting around to putting up my first recipe for the year: Gluten-free Apple and Raspberry Muffins. Why? Well, this happened. A few days before Christmas, a close relative passed away after a long illness. There was the funeral to arrange, Christmas Day to survive and personal belongings to be sorted. It was a difficult time for our family, that’s for sure. It took a while for the dust to settle, and just as we were starting to get into the groove of the summer holidays, my husband had a major health scare which involved a trip to hospital by ambulance and a fair bit of drama. Thankfully, he’s okay now, but wow, his life flashed before our eyes! We’ve also been dealing with some other very tricky stuff (the less said about that the better) and then of course there’s my ongoing health issues. Adrenal fatigue and a low functioning thyroid that I think has become non-functioning after all of this. But it’s not the garden variety thyroid issue. It’s a “special” one (because I don’t do things by halves) which hasn’t responded to any treatment. I’ve also managed to develop some bone spurs on both my heels. Somedays they’re so painful that I struggle to walk properly. Frankly, my health issues alone have been just plain awful. But add to that all the other things and you can imagine that my creativity has been completely fried. So at the one time of the year that I should have had time to focus on my blog and created loads of new recipes, I’ve been lying sprawled on the couch trying to find the will to go and hang out the washing. It’s not been fun, and that’s why all of January has passed with barely a peep from me. And now that the kids are back at school, I feel like I’m in need of a holiday. In fact, I’ve got my eye on this place for a weekend – it looks AMAAAAZING. Anyway, in the meantime, I have managed to get a few recipes in the works. Let’s start with a muffin recipe. I happily acknowledge that not everyone likes a muffin. One of my kids, whom I suspect may be a future hard-nosed food critic, refuses to eat anything cooked in a muffin shape. Although, curiously she will eat cupcakes, which are cooked in the same tin. Go figure. I find this highly inconvenient because as you may have guessed, I’m a big fan of muffin-shaped fare. It’s just such a great shape and size for lunchboxes. But everyone else in the family loved these muffins. And there’s something so deliciously comforting about the apple and raspberry combo. Don’t be afraid to double the recipe, freeze and defrost as required – they will maintain their lovely most and spongy quality so long as you freeze them while they’re still fresh. 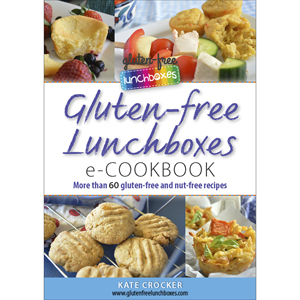 So my apologies for neglecting you, but if you’re ever in need of a recipe, feel free to browse my archives, or snare yourself a copy of my eCookbook. There are plenty of recipes to keep you going. Preheat oven to 180° Celsius (conventional oven) or 160° Celsius (fan-forced oven). Grease and line 12 cavities in a half-cup (125 ml) capacity muffin tray. In the large bowl of an electric mixer, beat eggs on medium speed for 5 minutes. Sift into the bowl tapioca flour, sorghum flour, brown rice flour, baking powder, psyllium husk. Also add brown sugar, vanilla essence, milk and oil. Gently fold into the mixture the apple and raspberries. Spoon mixture into tray until each cavity is approximately three-quarters full. Authenticity looks beautiful – you absolutely deserve/need a visit there.